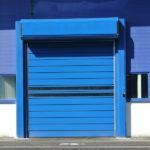 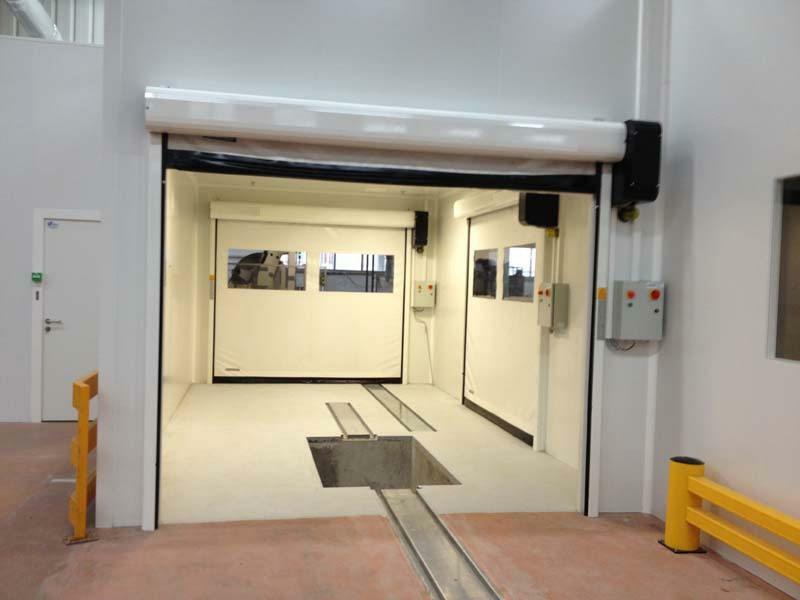 DynamicRoll Clean Rooms flexible and self-repairing roll door are specially designed to separate overpressured sterile environments. 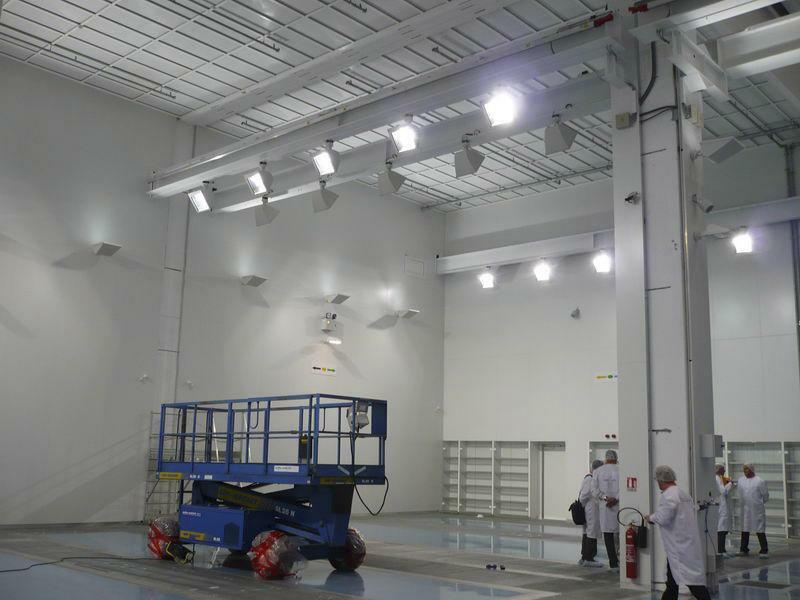 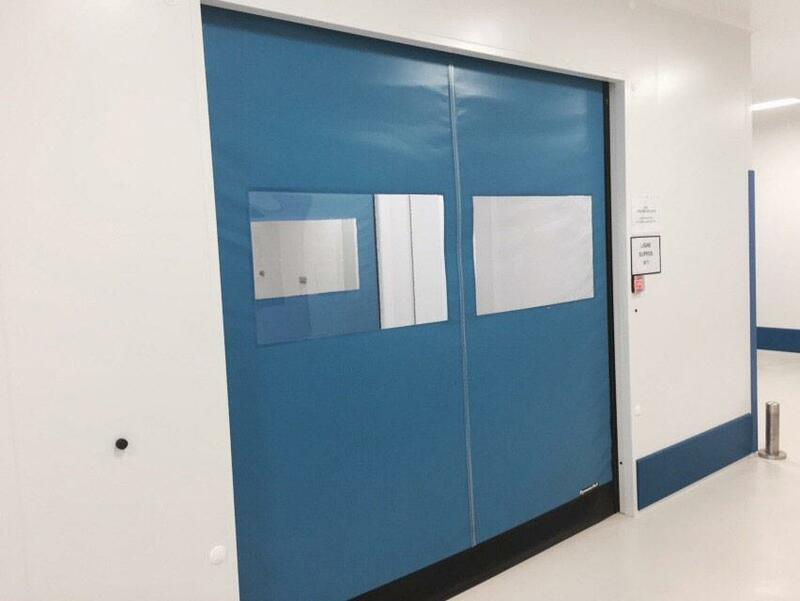 This door is designed to preserve the environment and to ensure the hygiene levels required within Clean Rooms, where air has to be up to 20,000 times cleaner than the air we usually breathe. 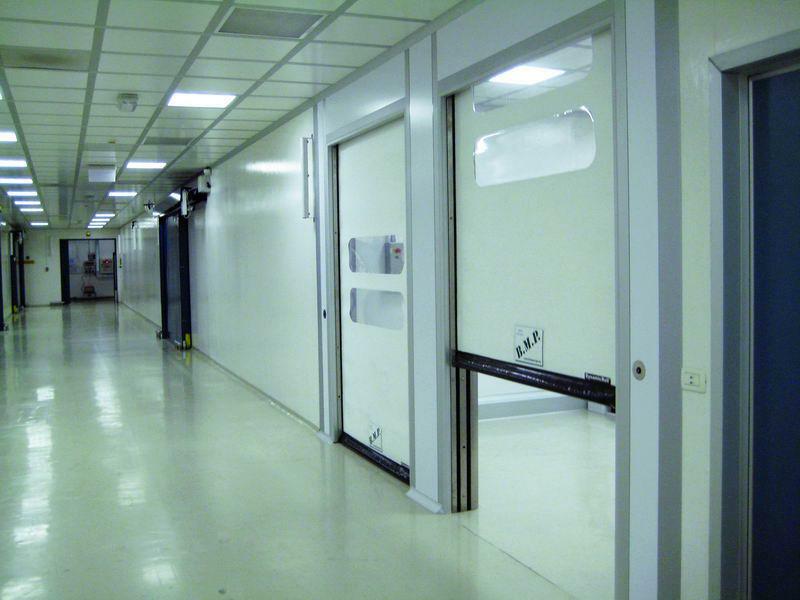 DynamicRoll Clean Rooms is a high-speed flexible door in pvc for inside applications, with no rigid elements and with a perimeter structure made entirely of stainless steel. 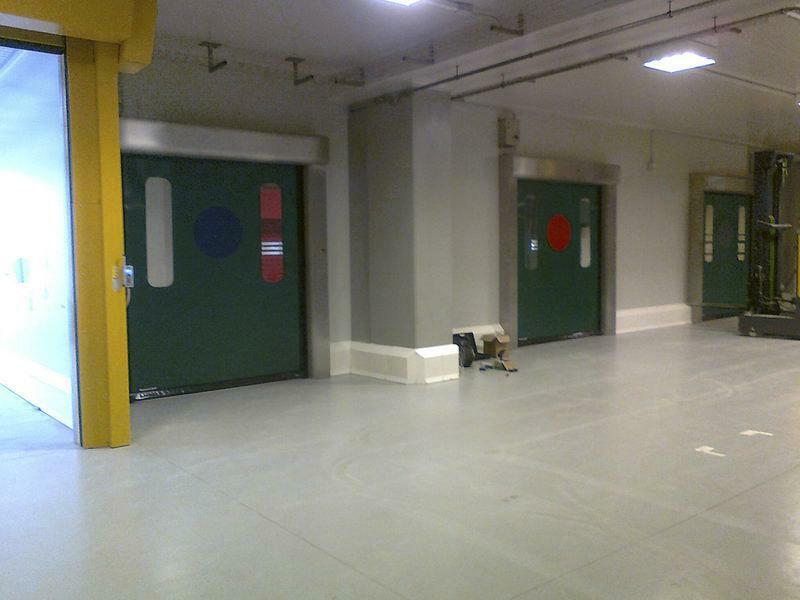 Thanks to its special compact frame and to the special sliding system this roll up door has a low permeability to be suited for controlled environments, guarantees controlled loss of pressure and allows the ventilation systems and air purification to operate correctly. 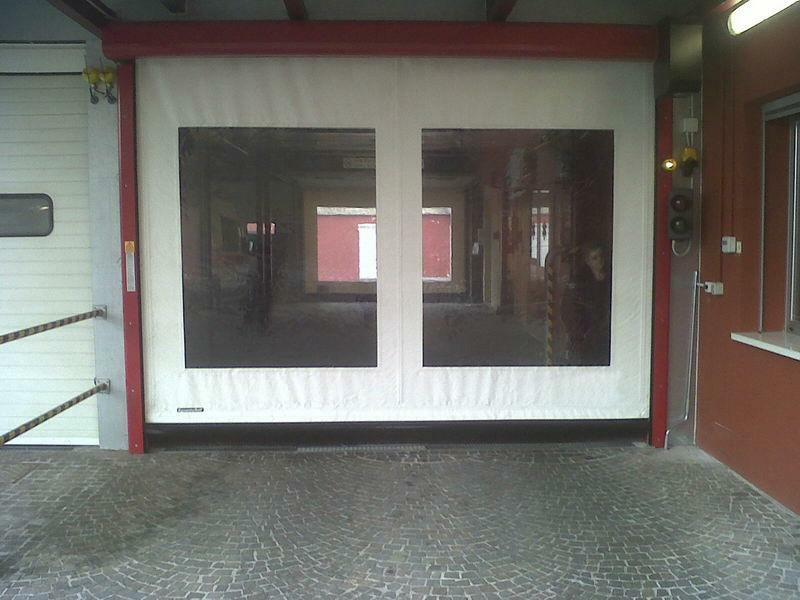 The mechanical system of DynamicRoll Clean Rooms self-repairing doors is placed exclusively within the case of the upright and the crossbeam. 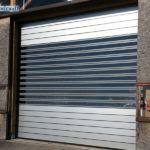 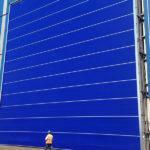 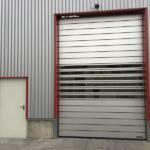 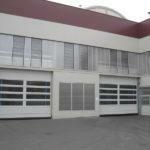 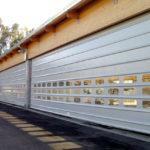 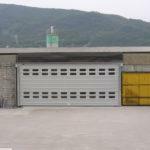 This door ensures endurance and reduced air permeability, since the gear-motor unit and mechanical components are isolated within the upper crossbeam and side uprights. 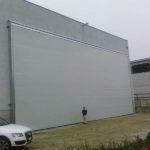 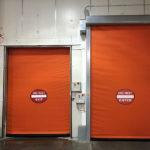 Its patented sliding system guarantees safe operations: in case of an accidental collision, the curtain is relesead and reinserted after one cycle.